The nursing profession is a demanding one. Not only are nurses required to care for the sick and elderly, they are also required to work long shifts that usually entail being on their feet for long hours. It is therefore pertinent that nurses are comfortable enough to deliver on their responsibilities in an effective and efficient manner. A key component of this need is the kind of work shoes they wear during work hours in the hospital environment. Quality work shoes are an indispensable companion for nurses. They not only serve to give nurses a professional and smart outlook but they also, more importantly, help nurses mitigate the effects of fatigue, stress and strain that comes with being on their feet for long periods of time. This article takes a look at the best nursing shoes / the best shoes for nurses 2018. 1.1 3. 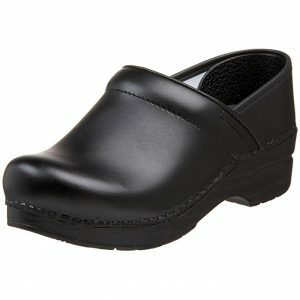 Alegria Keli Professional Nurse Shoe – Alegria Nursing Squeaky Shoes & Clogs on Amazon. Step #2: Identify at least 10 popular and highly-rated models of various brands, prices and types. 3. 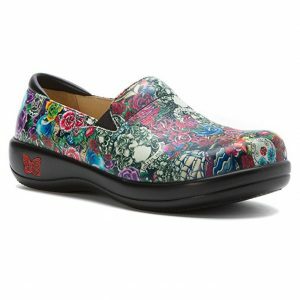 Alegria Keli Professional Nurse Shoe – Alegria Nursing Squeaky Shoes & Clogs on Amazon. The Alegria is a product of years of intense research and innovation, with the needs and demands of the hospital environment at the centre of its deliberations. What you get are work shoes that combine comfort, functionality and beauty all rolled into a pair of work shoes that you can trust as a nurse. For starters, the Alegria is made from premium leather that provides durability and a solid exterior that complements your hectic work style. The Alegria offers more comfort with a generous toe box area, which affords the toes more room for movement. A padded instep and back collar help the shoes avoid chaffing. Advanced design engineering means that the Alegria is among the first of its kind to feature detachable footbed. This feature ensures that you are able to ensure optimum moisture management. The sole of the Alegria is made from high-quality polyurethane, which assures anti-slip control capabilities. In addition, this material not only provides stress relief and comfort for your feet as you carry out your duties, it also provides you with good traction control. The arch support of the Alegria can be improved. 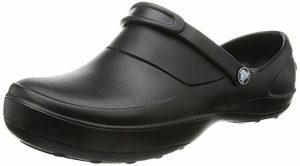 The Dansko Women’s Professional clog for nurses is one of the best shoes for nurses. It is a product of many years of research and innovation, with the daily schedules and duties of the average nurse at the centre of all considerations. Dansko Clog nurse shoe gives the wearer an all-day comfort by easing the strain and pressure on the leg joints of the user, in this case, the nurse as she goes about her daily duties. The design of the clog gives the foot a complimentary slide, which helps to reduce fatigue. The design also provides adequate arch support for a firm footing. The midsole and the outsole work in concert to provide incredible shock absorption, the kind of which you would find in footwear worn by sports people. The superior design of the Dansko gives sufficient space for your toes to move freely courtesy of a roomy toe tip. In addition, the inner lining of this clog is made from a material that is bacteria-resistant; hence the wearer does not have to worry about generating foul foot odours when the shoes are taken off. To top off this quality nurses’ shoes are outer soles that ensure that you can walk and work in greasy and wet surfaces without slipping or falling. And for those that have a thing for aesthetics, the Dansko scores big points with its sleek and elegant look. Skechers for work women has built a reputation for itself with its characteristic features that have endeared the shoes to many over the years. They offer a mix of functionality and beauty which has proven to be the first choice among nurses without much hesitation. For starters, the shoes are made from smooth, solid leather that gives it a characteristic durability and longevity. The soles of this Skechers were engineered to be slip-resistant, protecting the working nurse from the vagaries associated with medical environments like greasy and wet grounds. The absolutely rugged shoes also come with reinforced heel over lays, especially covering the toe and ankle areas, so you are safe and protected from impacts and collisions. The inside of the Skechers is lined with a comfortable memory foam that ensures your feet get the support and flexibility that they need during your long work hours. In addition, the inside of the shoes allow your feet to breathe, hence you can sure that there will be no foul odour emitted when you take your Skechers off. Shock absorbing flex insoles provide ample support for your limbs so that you do not experience joint strain and fatigue. The icing on the cake with your Skechers is that it also comes fitted with materials that provide electrical insulation. You do not have to break the shoes first; they fit perfectly from first use. It makes squeaky noise sometimes. Crocs continue to push the boundaries when it comes to quality work shoes for nurses and other medical staff. You will be blown away by the base material used in the manufacture of the Crocs Women’s Mercy work clog. This material is called Croslite, a revolutionary material that embodies properties such as being comfortable, soft, light-weight whilst providing odour resistance for the wearer. Taking into consideration the average need of a nurse in a typical hospital environment, the Crocs is roomy and comfortable, ensuring you put in your shift effortlessly and tirelessly. The Crocs comes with an outsole that is made from a slip-resistant material with a heel-hugging back strap that ensures you move about in a steady fashion. Designed for use in a number of hospital environments such as laboratories, clinics, research facilities et al, the Crocs features a foot bed that enhances arch support. The inner sole of the Croc has tiny nubs that massage your soles as you go about your daily activities. The shaft measures approximately 2 inches from the arch to provide optimal support. The new design of the Croc may mean you would have to break them in. They do not have vents; hence you may have sweaty feet. Since you will be attending to patients for most parts of your work shift, on your feet, it becomes important that your choice of best nursing shoes should be lightweight and comfortable, so that they do not add more burden to your work load. Not only do your shoes have to be lightweight, they must be designed in such a way that they provide ample support for your feet, ankles and back, in order to eliminate back, foot and leg pain during the course of your work. Your ideal best nursing work shoes must provide adequate protection for accidental slips and falls that are associated with wet greasy floors, which are hallmarks of the average hospital environment. The selected shoes should come with soles made from good slip resistant material so that you are protected during your work shift. Work shoes are an indispensable companion for the hardworking nurse. The job itself is demanding enough, so the nurse must have implicit confidence in the ability of her work shoes to not only protect her from occupational hazards at the workplace but to also enhance her productivity and performance. Aside from the aforementioned criteria, another important consideration for selecting the best nursing shoes will be the cost of the shoes as well as its durability and service life. Hope you found our article on the best nursing shoes / best shoes for nurses very helpful.